PoPville » So, Who You Gonna Vote For? Why? So, Who You Gonna Vote For? Why? Now that we got the whole stamp situation sorted, sorta – let’s move on to the meat of the issue. A reader has requested on open thread on the upcoming election so here it is. Personally I’d be interested in hearing your thoughts about the At Large Council Race that has gotten rather contentious lately. But feel free to talk about all the races you plan on voting for from Mayor to Ward to State Board of Education down to your local ANC. 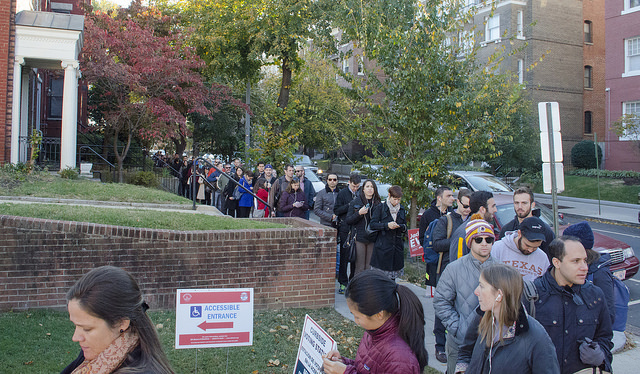 For those looking for voting guides, DCist has a good one here and Greater Greater Washington has one dedicated to ANC races here. So, let’s start with the At Large Race are you leaning – Bonds, Reeder, Silverman (no relation) or other? And whoever you’re gonna vote for – please do vote!